After watching the show with his son and Max Weinberg (whose son Jay drummed for the opening act, Against Me! 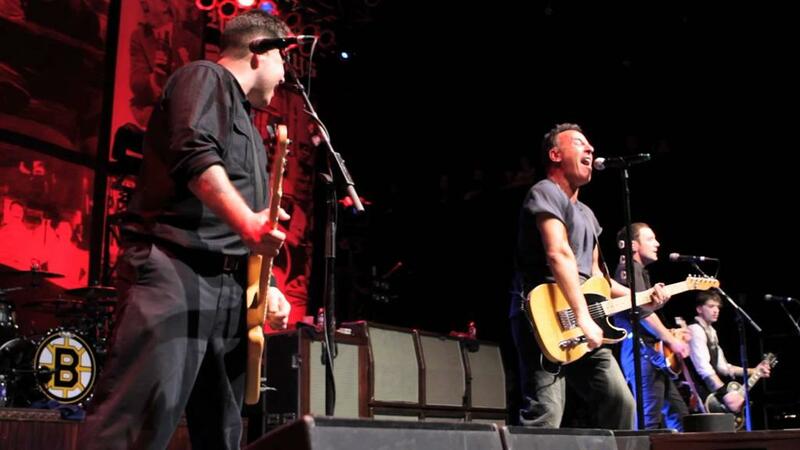 ), Bruce guests with the Dropkick Murphys for a three-song set of "Peg O' My Heart", "Badlands" and playing guitar and singing backup on "I'm Shipping Up To Boston". 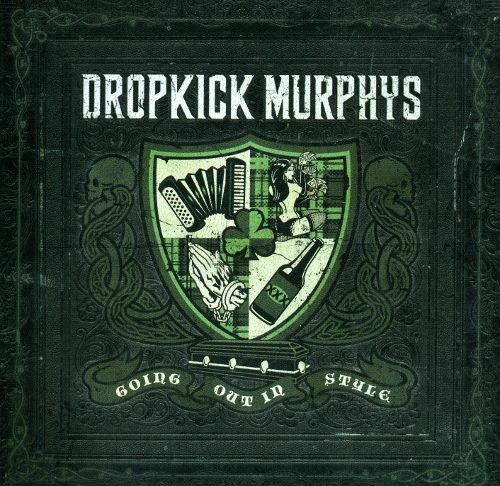 The Dropkick Murphys' 2011 album Going Out In Style features Springsteen providing vocals for Irish traditional song "Peg O' My Heart". This was the band's last performance of a three-night stand at House Of Blues during St. Patrick's Day weekend. It was reported that Jon Landau, Springsteen's manager, called Ken Casey the previous day and said that his client would be at the show. A closed sound-check took place prior to the show, and Springsteen and the Dropkick Murphys went over the songs in front of an audience of about twelve people. "Peg O' My heart" is a song written by Alfred Bryan and Fred Fisher and first published on 15 Mar 1913 and was featured in the 1913 musical Ziegfeld Follies. The popular song was recorded by several artists over the years, including Punk Rock band the Dropkick Murphys who recorded it for their 2011 album Going Out In Style. Their version features a guest appearance by Bruce Springsteen. The Dropkick Murphys's version of "Peg O' My heart" is radically revamped to suit the band's punkish style. Bassist and lead vocalist Ken Casey told Rolling Stone in January 2011 that the band thought that it sounds like something that the E Street Band would pull out, and that's how they got the idea to invite Bruce Springsteen to sing on it. The band had already finished recording their Going Out In Style album when they asked Springsteen to contribute guest vocals to the track in mid-December 2010. "We were on tour in Australia when we finally got the nerve and we sent him an e-mail," Casey told Rolling Stone. "You'd think having to deal with Bruce Springsteen would be this complicated thing. But it was just like 'want to do it?' and he was like 'sure!' It was as easy as that." All they told him was that they thought that it would be great to trade off on verses. Springsteen e-mailed back the song with his vocal contributions and Casey was blown away. "I was like a kid opening a present on Christmas morning," he recalled. Springsteen reportedly agreed because his son Evan is a big Dropkick Murphys fan. "It has a classic old fifties rock and roll feel," Casey explained about the track. "Both of my grandmothers are named Peg. One grandmother, Peg Casey, is always saying, 'When are you going to do that song? Your grandfather always sang it to me!' The time signature changed, so hopefully they still appreciate it when they hear it." The Dropkick Murphys first met Bruce Springsteen in 2005 or 2006 when he attended a gig of theirs in New York. "He came back afterwards and introduced himself," Ken Casey told Rolling Stone. "We were just blown away, but we really hit it off. He's since invited us to play with him a few times." During their Working On A Dream Tour, Bruce Springsteen & The E Street Band played the TD Banknorth Garden in Boston, MA, on 22 Apr 2009. They were joined onstage by the Dropkick Murphys on Glory Days and American land. Then the band's guitarist, Tim Brennan, proposed onstage down on bended knee to his girlfriend Diana. Springsteen then dedicated the tour premiere of So young and in love to the couple, saying that "this was going to be their wedding song." Springsteen appears on two Dropkick Murphys studio tracks: Peg O' My heart in 2011 and Rose Tattoo in 2013. Ken Casey is a lifelong Springsteen fan, and his favorite Springsteen album is Darkness On The Edge Of Town. The Dropkick Murphys have covered Badlands live and Casey has said that the band wouldn't say no to recording an entire album as Bruce Springsteen's backing band. "Bruce, we're ready when you are," Casey told Rolling Stone.